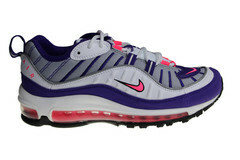 Nike Air Max 97 for men in the colors bright grey with white and orange. 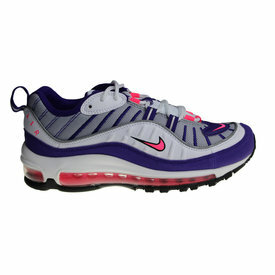 These sneakers have the text Air Max on the Air en 97 on the tab. Fila Disruptor CB Low Wmn sneakers for ladies. This nice sneaker is released in various soft/bright colors. The Fila Disruptor shoes are very hot! Nike Air Max 1 for ladies. Released in soft colors, making these shoes have a soft look. Check out our other ladies Nike Air Max 1 sneakers.